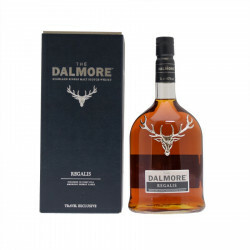 The Dalmore Regalis is a Scottish whisky. Dalmore created a new collection of whisky named Fortuna Merita. It is 3 NAS, No-Age Statement. The Dalmore Regalis is the first of the collection. Its name means "royal". It has known a maturation in american barrels before a finish in first-fill Amoroso barrels for a minimun of fifteen years. It is both gourmand and rich. It is a complex blend of spirits selected from an ex-bourbon cask, to make the perfect Single Malt. Distilled, aged and bottled in Scotland. Established in 1839 by Alexander Matheson, this Northern Highlands distillery owns a very old still which neck is cooled by a water stream, which clears the distillate from its heaviest elements. This might explain its ability to age for a long period (more than 50 years), even if a bottle of that age is extremely rare and pricey. 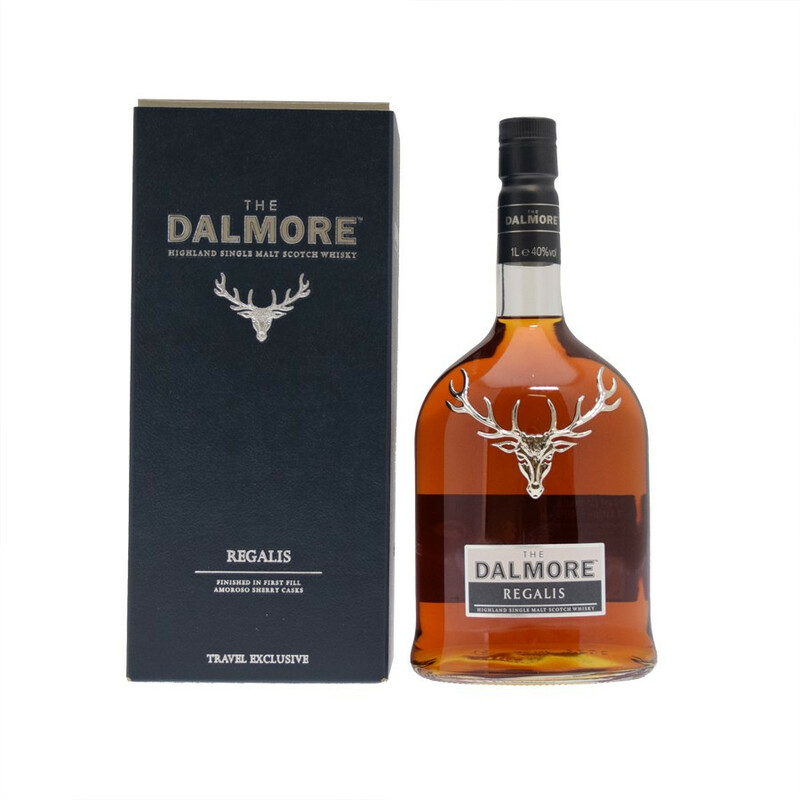 The Dalmore is one of the rare distilleries that used to be managed by a woman, between 1860 and 1866. When the Mackenzie family bought the distillery in 1866, she brought with her the symbol of the clan – a stag head with twelve horns – meaning “royal”, labeled on each bottle released by the distillery. In 1960, the distillery merged with the Whyte & Mackay company, founded by Mackenzie relatives. Nose: mulled wine, exotic fruits, marzipan, sweet syrups and toffee. Palate: treacle toffe, roasted walnuts, pecan cake and Manuka honey. Finish: maraschino cherries, espresso coffee, liquorice and vanilla.